Let's learn foreign languages (Japanese, English, Korean, and Chinese) and play a leading role in the world! 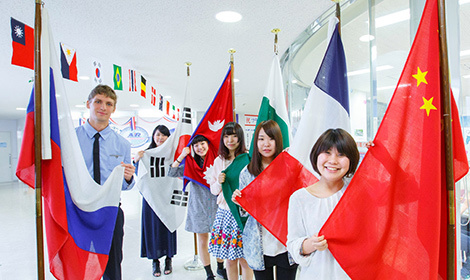 Japanese and international students are enrolled at the college. International students mainly aim to improve their Japanese skills and pass the Japanese Language Aptitude Test. The college aims to develop international students into human resources who can work in Japan or overseas by deepening their understanding of Japan through classes on Japanese culture, geography, and history. International students with high Japanese proficiency can select a specialized field of study, such as tourism and airline-related careers. 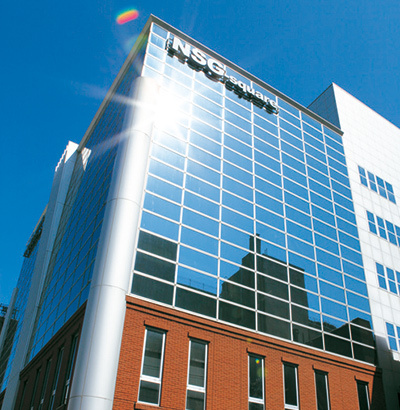 The college has established a section dedicated to employment and built close relationships with industries. The employment section collaborates with class supervisors and students to introduce the best job available for each student. Students aim to improve their foreign language proficiency (students select a language from among Japanese, English, Korean and Chinese) and obtain national qualifications for travel supervisors. Students acquire English language skills and hospitality, which are required for customer service in English. Students acquire Korean or Chinese skills and aim to work in Asia. Students acquire the best possible hospitality and manners in the service industry and aim to become cabin attendants or other professionals in the airline industry. Students aim to obtain two national qualifications indispensable for the travel business and become specialists who support the tourism industry. This course targets vocational college, junior college, and university graduates. Students acquire knowledge required in the tourism or airline industry in one year. This course targets vocational college, junior college, and university graduates. Students aim to improve their language skills, including Japanese. This course targets international students who wish to learn Japanese from the basics. After graduation, most of them study at other colleges in Japan.